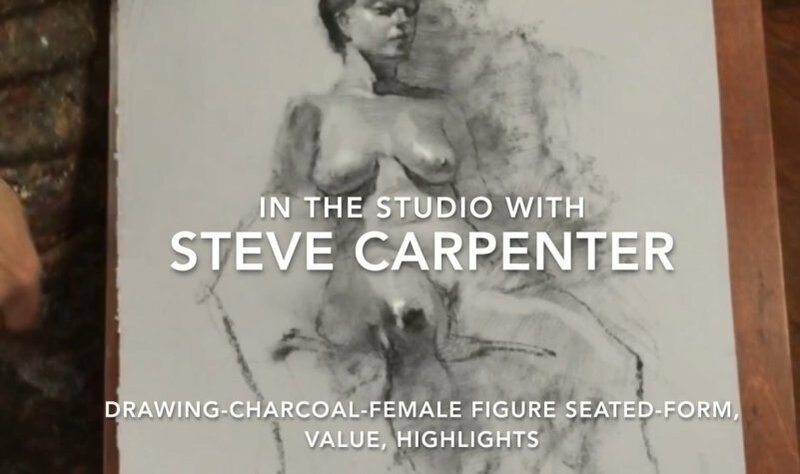 This charcoal drawing video explores the use of light, middle, and dark values to express form. Find the planes in the figure, render details, and find a rhythm in dark shadow with the correct use of line and value. Steve addresses the final highlights with the use of white chalk. What is the paper your using.